Rob Purgatorio is an AV Rated attorney who has practiced law in Texas state and federal courts since 1988. Although primarily known for his experience in litigation matters, Mr. Purgatorio has also built a practice of advising corporate and individual clients on business organization, employment and real estate matters. Prior to joining the firm, Mr. Purgatorio was an attorney and shareholder in a large Houston based litigation firm and thereafter, two smaller commercial litigation-based firms. His litigation experience includes handling and trying cases involving negligence, products liability, toxic tort as well as construction and commercial cases and arbitrations. 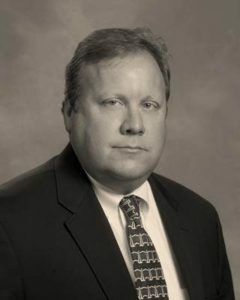 He has served as regional counsel for a large fast food restaurant chain and national rental car company as well as local trial counsel for several oil and chemical companies.